Calorie Counter & Diet Tracker by MyFitnessPal has 1 alternatives which are listed below. The Runtastic app tracks your sport and fitness activities (distance, duration, speed, elevation change, calories burned & more) such as running, jogging, biking & walking utilizing technology to help you build healthy lifestyle habits and reach exercise goals! What’s more? Runtastic was recently overhauled to enhance your user experience. Take this running app out for a run and enjoy improved app design, optimized features & new functionality. 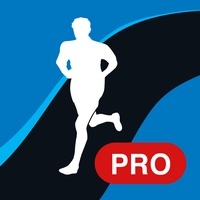 The Runtastic running app is a great fit for users of all health and fitness levels. Let’s go! Save all workouts on Runtastic.com. In the Runtastic online community, you'll get further analysis, coaching & encouraging comparisons to friends! These benefits keep you motivated while striving to reach fat burning, cardio training or overall health & wellness goals. You can also choose an expert training plan! Training plans provide coaching & inspiration for fitness goals like weight loss, building endurance, jogging a 10k, running a halfmarathon, running a marathon or attaining a beach body. Plus, try out Runtastic Music Running Vol. 2. Runtastic has partnered with Universal Music the world's undisputed leader in music publishing, to create scientificallyengineered music compilations. Boost your motivation and focus with tunes from Lady Gaga, OneRepublic, Bastille & more! Continued use of running in the background can dramatically decrease battery life. Read more about Runtastic PRO as an alternative for Calorie Counter & Diet Tracker by MyFitnessPal.